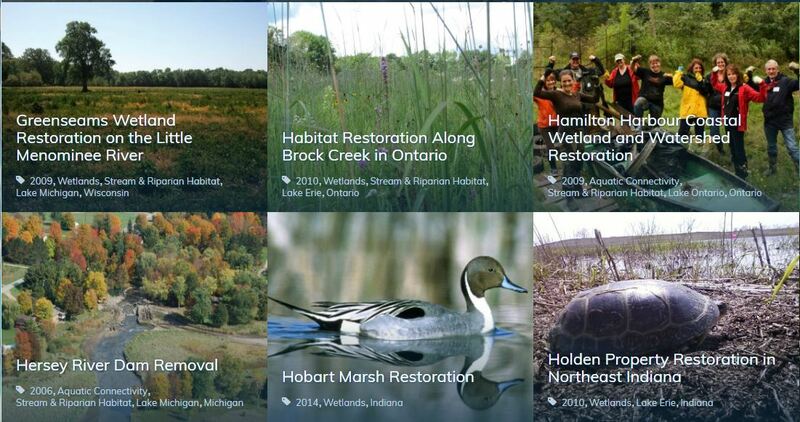 To be eligible for funding, projects must occur within the Great Lakes basin. Eligible applicants include non-profit organizations, educational institutions, and state, tribal and local governments. Individual awards will range from $50,000 to $1.5 million. For more information, visit the program website. 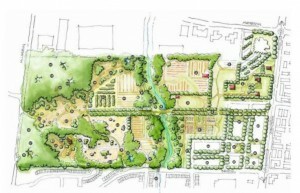 Mississauga is getting a new (old) giant urban farm. Peel District School Board recently approved a plan to redevelop Brittania Farm that will feature 168 acres for agricultural and environmental programming, an educational urban farm, trails, wetlands, forest areas, a sugar bush where maple syrup will be made, observation centres overlooking acres of conservation land and 32 acres in the south-east corner for a mixed-use development that will finance the rest of the project. Read more about the project in this article from the Toronto Star. Massachusettes Institute of Technology (MIT) Senseable City Lab released the new interactive tool Treepedia that assesses the Green View Index of the urban forest in major cities around the globe. The unique tool uses Google Street View to create a new measure of urban canopy from the point of view of an individual at street-level. From the website, “the Green View Index (GVI) was calculated using Google Street View (GSV) panoramas. This method considers the obstruction of tree canopies and classifies the images accordingly.” Users of the tool can compare thousands of points across one city, or compare the median values between cities. Try it out here. Meanwhile,in the City of Cupertino, California (also known as the home of Apple Inc.) plans have been made to build the largest green roof in the world. Designed by Rafael Viñoly Architects and OLIN, the mixed-use community will be blanketed by a 30-acre community park and nature reserve. See the photos and read more here. Port Perry is mounting an engineered wetland development project on Lake Scugog. Are Lake Scugog and Port Perry considered to be in the “Great Lakes Basin?” We will be creating a four acre wetland on the lakeshore beside the downtown recreation area. The project will reduce the amount of phosphorous entering the lake by 20%. It will include low-impact dredging and sequestering of muck that contains unwanted materials, including invasive plant species seed stock and partially composted plant materials. Greater water depth will return the recreational benefits of the lake, bringing back boating, fishing, swimming and water sports activities that the town was once known for. We are seeking financial support. If the lake qualifies, we will submit a proposal. William H. Eull, Ph.D., C.Psych. Chair, Lake Scugog Enhancement Project. Sounds like a great proposal! Please keep us updated on this project. As far as I understand you would qualify geographically speaking, but you’ll have to speak with someone from Sustain our Great Lakes to confirm. Good luck!